Tot Rockin' | Because kids and their adults shouldn't have to listen to bad music. There are very few bands more rock and roll than Nick Cave and the Bad Seeds. Likewise, it doesn’t get much more kid-awesome than Dr. Suess. 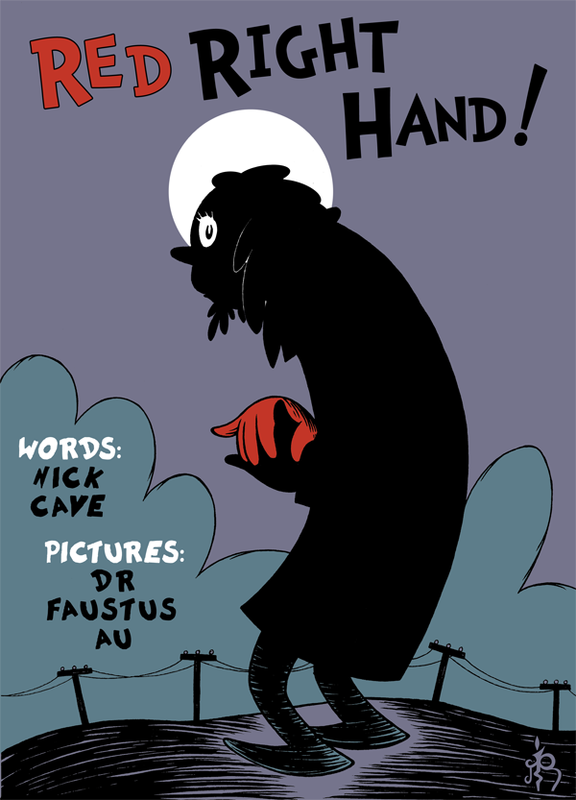 Mash them both together as Dr. FaustusAU has done, and you’ve got one amazingly creepy-fun rendition of Cave’s Red Right Hand. Get to know Dr. FaustusAU. See the video for Red Right Hand. Get to know Nick Cave. A big thank you to Flavorwire for sharing! 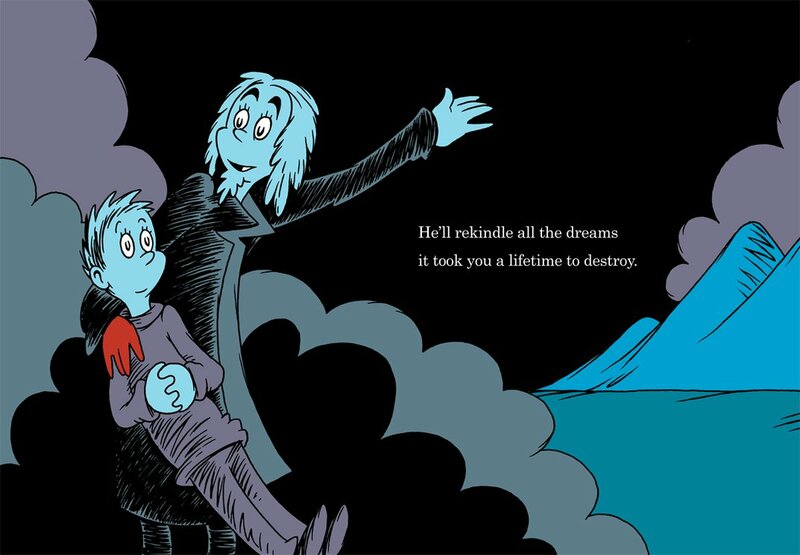 The Internet can be the worst place, but occasionally something comes along that makes you glad that it exists — like, for instance, this Dr Seuss-style rendering of Nick Cave’s “Red Right Hand.” These are the things you’d never get to see if it wasn’t for the web — they’d be in someone’s desk drawer, or something the artist’s friends laughed at in delight over drinks. Instead, the whole world can appreciate the work of one DrFaustusAU (who previously gave us a Seussian interpretation of The Call of Chthulu). This, which we discovered via Dangerous Minds, may just be his/her finest work yet. Click through and marvel at just how well it works. Loud. Fast. Hard. Live Banjo. Trying to keep it together before the show. You know that moment when you get all giddy with excitement waiting with the crowd for a show to start? I love that about live music. However, that was not my experience just before the start of my last concert. Just moments before the band took the stage I had a sinking feeling in my stomach. I’ve been known to get claustrophobic at shows, but never like this. Looking around the room at the hundreds of children and their adults, I thought, “This was a mistake. HUGE mistake.” Sitting cross-legged on the floor, tot in lap, I couldn’t believe I’d been suckered into a kid’s concert again. But within a few bars of the first song, that dread dissipated. This wasn’t any typical kids music performance, it was The Okee Dokee Brothers. Justin Lansing and Joe Mailander getting this party started. This was obviously a kids show, but there was plenty for adults to enjoy. The production was really well done and the music was great. There were obviously plenty of big fans in the audience because many, kids and adults alike, were singing along to all the songs. If there has to be an educational supplement, dear Lord, let it be this one. You know what’s another sure sign of kids music? Educational supplements. However, as far as educational supplements go, this one is pretty stellar. A music person can appreciate the mention of Odetta, Lead Belly and Bill Monroe as innovators of folk music. If an educational supplement is what it’s gonna take for my kid’s preschool to go on an Okee Dokee Brothers field trip, I will stop my yakking. “Like the great Woody Guthrie, they’ve tapped into that magic quality of folk music to bridge the age gap and connect listeners young and old with their universal message.”– UTNE Reader. 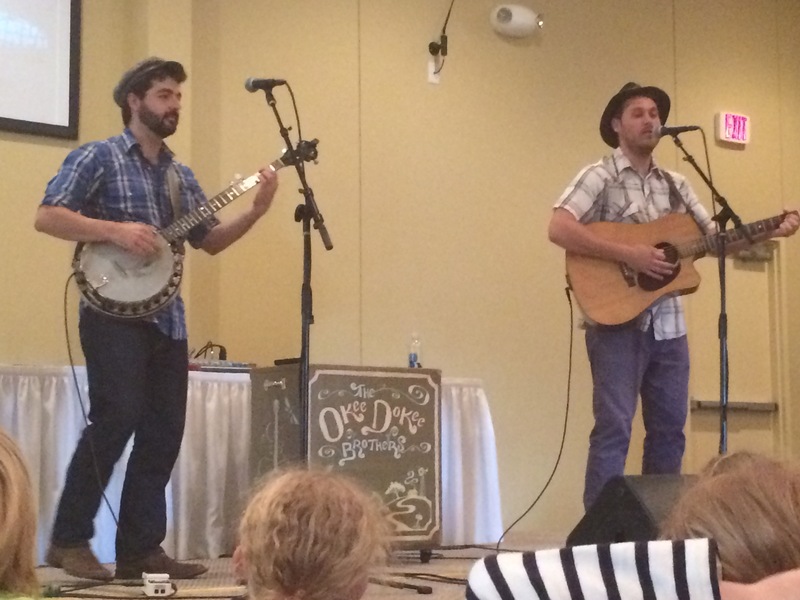 If you go see The Okee Dokee Brothers in concert, you won’t forget you are listening to music for kids, but you won’t hate yourself for singing along. That’s good enough for me. 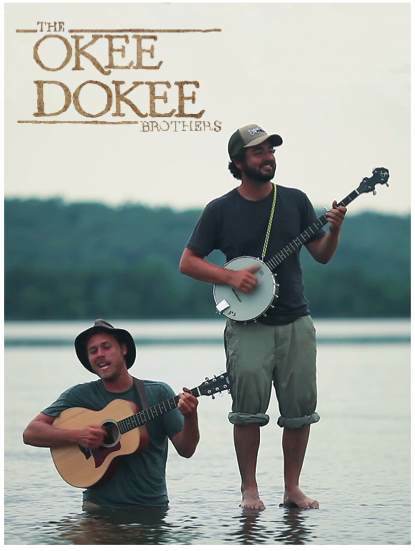 Get to know The Okee Dokee Brothers. Ask 100 parents how they approach talking about bad things in the world, and you’ll get 100 different opinions. But this Mama thinks it’s important to discuss challenging subjects. It’s important to talk about slavery. It’s important to discuss oppression and discrimination in age appropriate ways. One way to start that conversation is through music. Redemption Song is credited to Bob Marley and Edwin Hawkins, but the iconic lines “emancipate yourself from mental slavery… none but ourselves can free our minds” are attributed to civil rights activist Marcus Garvey in 1937. There have been several covers of Redemption Song lately (you probably have to try really hard to make a bad version of this song), but my favorite cover is by Johnny Cash and Joe Strummer. Other Tot Rockers by Bob Marley: I think this is a gimme. Like The Beatles, Bob Marley has so many very recognizable songs and so many of them translate easily into a lullaby that potentially every child has heard Three little birds and No woman, no cry by kindergarten. But just in case they haven’t, there you go. Similar Tot Rockers: Police and Thieves by Junior Murvin (sleepy baby), Black boys on mopeds by Sinead O’Connor (sleepy baby). New Republic: Cities need to understand what riots over police brutality are saying. New York Times: To talk Baltimore with kids, focus on the positive. Get to know Bob Marley. Sometimes this needs to happen. Sleepy Baby music can help. Sometimes kids (and their adults) need to chill out. You know those times, everyone is just a little bit crispy, and you can tell somebody’s about to lose it. Sleepy baby music isn’t just for lullaby’s, it’s best used when the room needs to chill. It’s too early? Try Sleepy Baby. Need some quiet time in the car? Try sleepy baby. Hangry? Yep, sleepy baby. Despite it’s many special powers, Sleepy Baby music has been underrepresented on Tot Rockin’ as of late. That’s mainly because as my babes have gotten bigger and like to rock harder. Toddler’s usually prefer to have their music kicked up a notch, but what do they know? 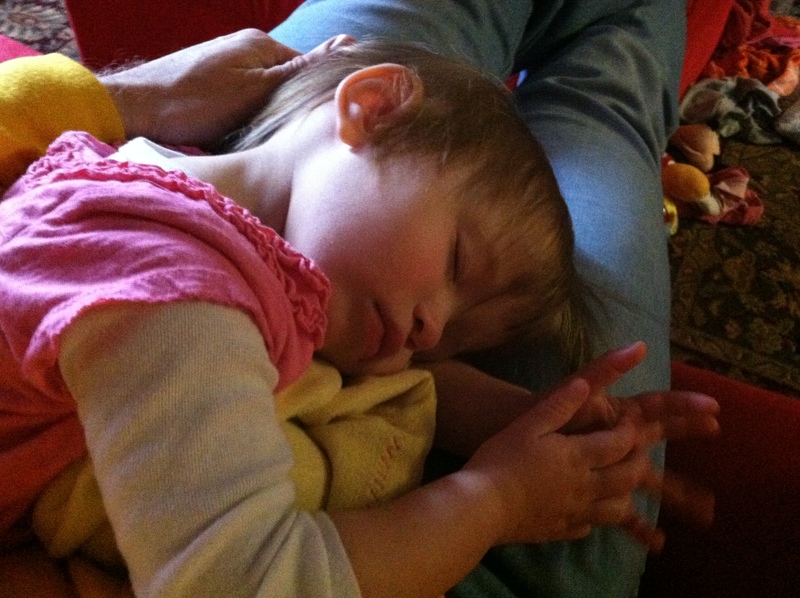 To right this Sleepy Baby wrong, I’m sharing three great sleepy baby songs in one she-bang. Or shhhh-bang, as the case may be. Last weekend, on our way to “the chicken wing party” aka Wing Fest, my kids fell asleep in the car. To wake them up, I turned on the sleepy baby playlist, to gently nudge them awake. When we arrived at our destination, Wagon Wheel by Old Crow Medicine Show was about half way through. When I turned off the vehicle, TotBoy said, “Can we please listen to the rest of that song?” Yes. Yes we can. Sleepy Baby songs aren’t generally Molly Gene‘s main thing. But every artist needs a great torch song and this is hers. This traditional folk song has been covered by many, but this One Whoaman Band nails it. Many sleepy baby songs are about lost love, heartbreak, disappointment. This one is about adultery. Yep, that’s totally okay in the Tot Rock handbook. The first and last 30 seconds of this video are fantastic. It’s generally frowned on to give your children whiskey to settle them down, so Sleepy Baby music will have to do. Do you want to ride in my bumpy car? 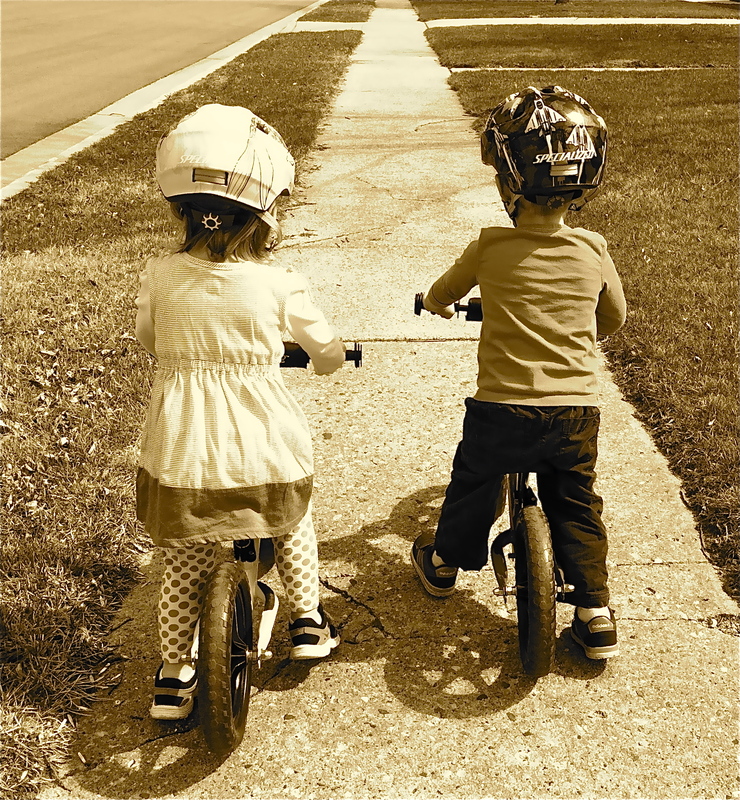 Do you want to ride on my bumpy bicycle? Hey Guys, let’s sing about bumpy bikes! I’m sure there’s a kid-specific song about bumps or potholes or driving in cars, but Bumper Car by Bob Log III does the trick for us. Does this song sound familiar? Yes, this song has already been covered. On this blog. My apologies. What’s a scoot bike, you say? It’s this cute little contraption of a bike that has no pedals, just a spot to tuck your feet as you coast. Even our small town hardware store has them in stock, so they have to be getting pretty mainstream. Ours are Strider brand. As Tot1 and Tot2 get older, there have been more spontaneous singing of songs, some that I know they haven’t heard for months. Share your music with your kids! And get them scoot bikes, they’re awesome. Coming to a bumpy road near you. Get to know Bob Log III. Tot Rockin' wants to encourage you to listen to good music. The music featured here IS NOT kids' music, it's GOOD music that kids and their adults will like. 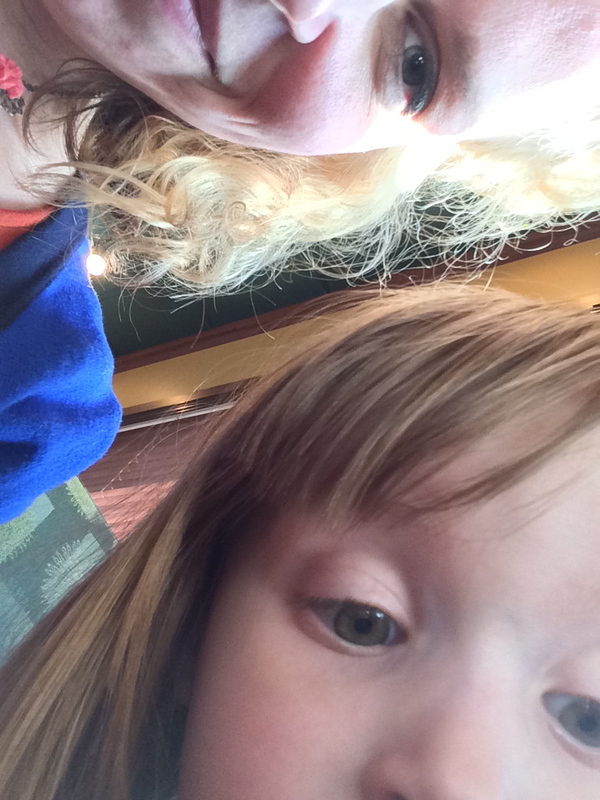 And there are a few cute kid quips thrown in willy nilly, to keep you coming back.